Many St. Louis couples decide to try legal separation before filing for divorce. Dissolving a marriage is a difficult decision to come to for most St. Louis couples. Tensions and emotions are high, and the thought of moving forward alone can be overwhelming for both partners. For these couples who seem to be struggling with the decision to divorce, our firm recognizes the turmoil and will often recommend that they try a legal separation before filing for a permanent dissolution of their marriage. The difference between a legal separation and a divorce in St. Louis is the final result. While a couple could potentially remain married, yet legally separated for years, the dissolution of marriage is a permanent termination of the marriage license. Besides that, all other factors that are normally found in a divorce petition such as child custody, support issues, and division of property still exist. Our firm has years of experience in helping couples that are considering a legal separation come to agreements about how to proceed with these matters. 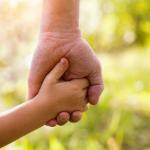 Why a Legal Separation Instead of Divorce? We have dealt with numerous couples with varying reasons for wanting a legal separation over a divorce. For some, they are holding onto hope that the marriage can be salvageable at a later date. For these couples we take great care to ensure that the needs of both partners are considered to pave the way towards reconciliation in the future. For some it is a solution to a seemingly temporary situation, such as substance abuse, where one partner feels it is in their best interest to separate themselves financially from their significant other until the problem is resolved. Other cases we have helped with are when one partner is reliant on the other’s health insurance policy. Since benefits for a spouse are terminated after a dissolution of marriage, a couple will sometimes cooperate with one another and file for a legal separation, which often will not affect the spouses eligibility for medical care through their partner’s health insurance. In a situation where one spouse is opposed to divorce based on religious or moral beliefs, they may file for a legal separation while their partner files for a divorce. In this instance, the judge presiding over your case will have to make the decision which petition to grant based upon the evidence presented to him. If the party seeking a divorce over a legal separation can provide proof of infidelity in the marriage and show cause as to why this is intolerable to them, the legal separation petition will be discarded and the divorce proceedings allowed to move forward. When it can be proven that the partner petitioning for legal separation has acted in such a way that it is intolerable for the spouse to continue living with them. If the spouse has abandoned his partner and or family for a period of 6 months or longer, or continuously. Both parties have consented to and lived separately for at least a year prior to the petition being filed. Without the consent of one partner, the couple has been living separately for at least two years prior to the petition. A spouse seeking a contested legal separation should note that after three months of being declared legally separated, their spouse can obtain a dissolution of marriage. In these situations, our firm stresses the importance of both partners trying to work together towards an amicable solution through mediation, especially when there are minor children whose needs must be considered. All of the same concerns that surround a petition for divorce exist with a legal separation. 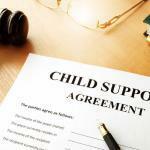 If there are minor children involved, child custody and support agreements will have to be reached. It is not unusual for a St. Louis family law judge to order that counseling be obtained for the children or to insist that the parents attempt to work out their differences in mediation. We understand that a legal separation is a devastating time for parents as well as children and assume a personal role in the well being of all parties involved. Through years of experience we have found that the best resolutions to issues involving your children will be found by using mediation with your co-parent. Property Distribution: In St. Louis if the couple is unable to come to a mutual agreement about the division of joint property, the Missouri court will distribute it for them in an equitable, but not necessarily equal, manner. Certain factors, such as the financial circumstances of each partner, the contribution of each to the acquisition of property, and the conduct of both parties will be considered by the family court judge. 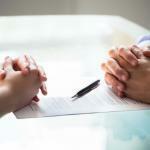 Spousal Support: Legal separation allows for spousal support just as a divorce decree will. Our firm has helped countless spouses obtain additional financial support from their former partner even after a legal separation petition has been granted. Although it is not an easy decision to come by, many couples who are seeking a legal separation have already made the plan to seek this option together. This is a difficult time for a family who has to now make tough choices on how to best to live apart. We understand the special needs of you and your loved ones and will always do everything in our power to help ease these troubling times for you and your family. Contact a St. Louis Legal Separation Lawyer at our Missouri Family Law Office to ensure that your family’s needs are taken care of.